The moment we’ve all been waiting for! 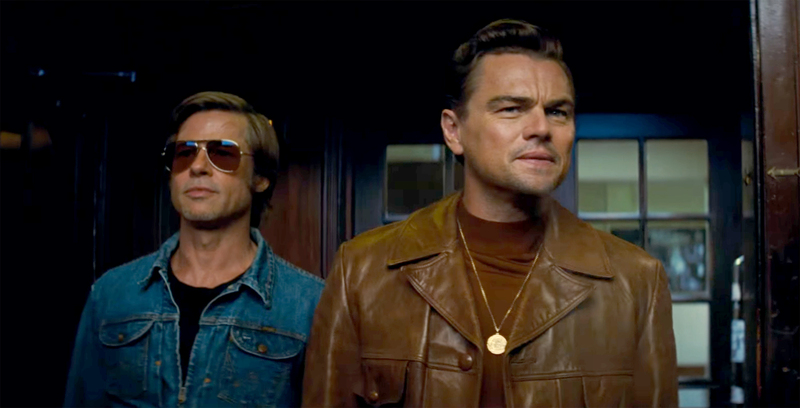 The first trailer for Leonardo DiCaprio, Brad Pitt and Margot Robbie’s new movie Once Upon a Time in Hollywood debuted on Wednesday, March 20. 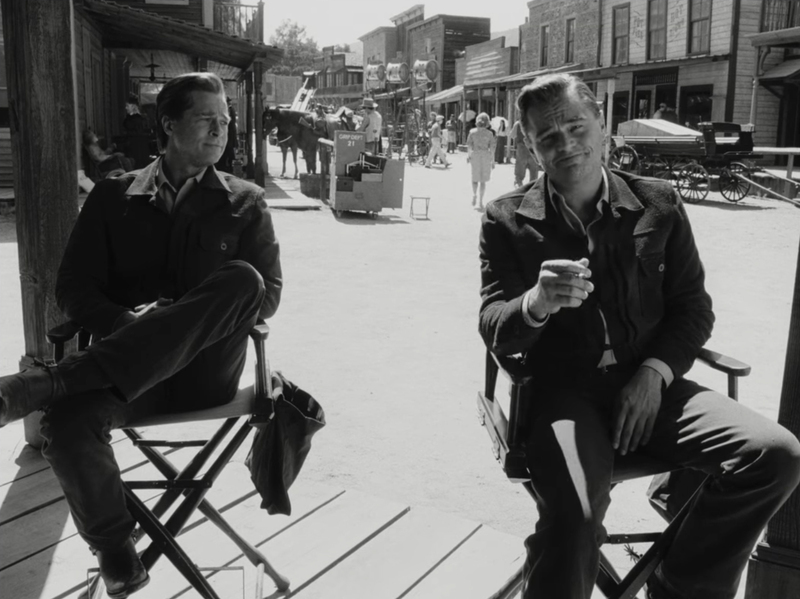 The nearly two-minute teaser begins in black-and-white with western TV actor Rick Dalton (DiCaprio) and his longtime stunt double Cliff Booth (Pitt) sitting side by side in directors chairs. The trailer then follows the pair as they attempt to make the move from the TV to film industry while living in 1969 Los Angeles — and Rick appears to find success. “That was the best acting I’ve ever seen in my whole life,” child actress Julia Butters’ character tells the once-struggling actor at the end of the clip. Viewers also get a few brief glimpses at Robbie dancing as her character, the late actress and Charles Manson Family victim Sharon Tate. The cast also includes Dakota Fanning, Al Pacino, Damian Lewis, Bruce Dern, James Marsden, Emile Hirsch and the late Luke Perry in his final big screen role. The Beverly Hills, 90210 alum died at the age of 52 on March 4 after suffering a stroke. He completed filming the movie before his death. Dern, meanwhile, replaced Burt Reynolds’ planned role after the Smokey and the Bandit star’s September 2018 death. The crime drama, which takes place around the time of the real-life Manson Family murders but does not solely focus on them, is directed by two-time Oscar winner Quentin Tarantino. Once Upon a Time in Hollywood hits theaters on Friday, July 26.